Apparently some seniors on Medicare have expressed confusion or concern about whether the new Health Insurance Marketplace (also referred to as a health care exchange) being implemented under the Health Care Law affects Medicare in any way. It does not. “Medicare isn’t part of the Health Insurance Marketplace, so you don’t need to do anything. If you have Medicare, you are considered covered. “Medicare benefits have expanded under the health care law–things like free preventive benefits, cancer screenings, and an annual wellness visit. “Medicare’s Open Enrollment Period (October 15-December 7) hasn’t changed. Remember, Marketplace insurance isn’t for people who have Medicare, so don’t drop your Medicare coverage. 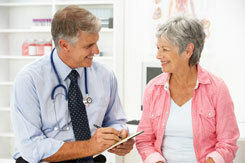 To learn more about your Medicare coverage and choices, visit medicare.gov.